By nature, I am a very rash person I do not think before I speak; I hate waiting and often dive into a project without giving it much thought. This article is for people who like me often rush into things without stopping and considering all the options and the effects of poor choice making. This article is for those who have been diagnosed with neuropathy and is in need of some help with the nerve pain he or she is feeling as a result of his or her diagnosis. The difficult thing about being diagnosed is waiting for the medical professionals to get his or her treatment plan in order. Once a diagnosis has been made, the individual diagnosed wants one thing and one thing only – relief. 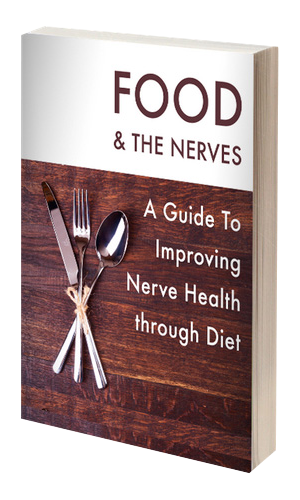 Nerve pain is the result of a chronic condition known as neuropathy. Neuropathy is a complex condition of the nerves that causes severe pains in the hands and feet as a result of nerve damage. Nerve damage can happen for any number of reasons and is what causes sensations such as tingling, burning, numbness and needle like pricking to inflict misery on an individual. At this particular time in history, there is no known cure for neuropathy (a.k.a nerve damage) however there are several ways one can find relief from nerve pain. Nerve pain causes limitations to the movement of the hands and feet making simple mundane task difficult to do unless a nerve pain treatment is implemented. Nerve pain treatment options vary from patient to patient. Each nerve pain patient has his or her own treatment preferences but there are a few things that should be considered before agreeing to any one particular treatment. The first thing that should be considered is the safety of the treatment. Is the nerve pain treatment known for having adverse side effects? If so then how severe are they? Second thing to consider is if there is a natural and safer way to treat nerve pain such as through natural or holistic treatments like acupuncture, hypnosis, electrical nerve stimulation, therapies and or through the use of herbal supplements. Natural is always safer and therefore more effective.